How to easily insert frame into document in Word? By default, MS Word doesn’t display Frame function in the Ribbon. If you want to insert frames into document, you need to add Frame function to the Ribbon first. This tutorial will show you the way to add Frame function and insert frames into document. With Kutools for Word's Frame utility, you can insert and remove frames into Word document as quickly as you can. Kutools for Word: with more than 100 handy Word add-ins, free to try with no limitation in 60 days. Click to Download and free trial Now! 1. 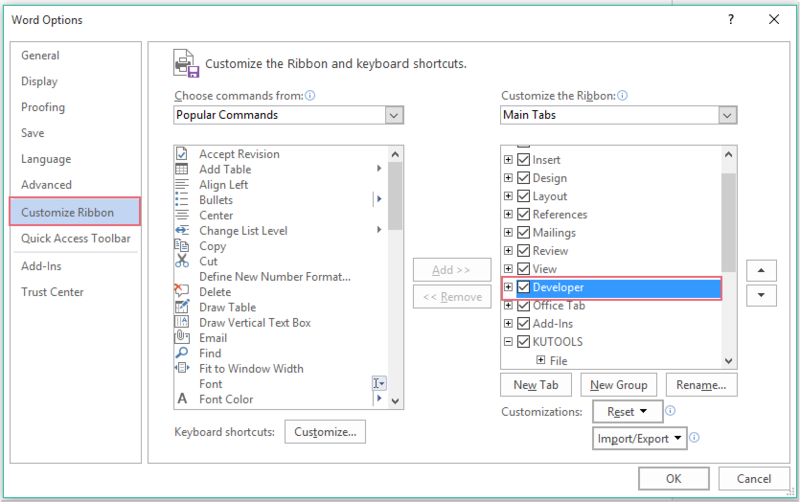 In Word 2010 and later version, please click File > Options > Customize Ribbon. 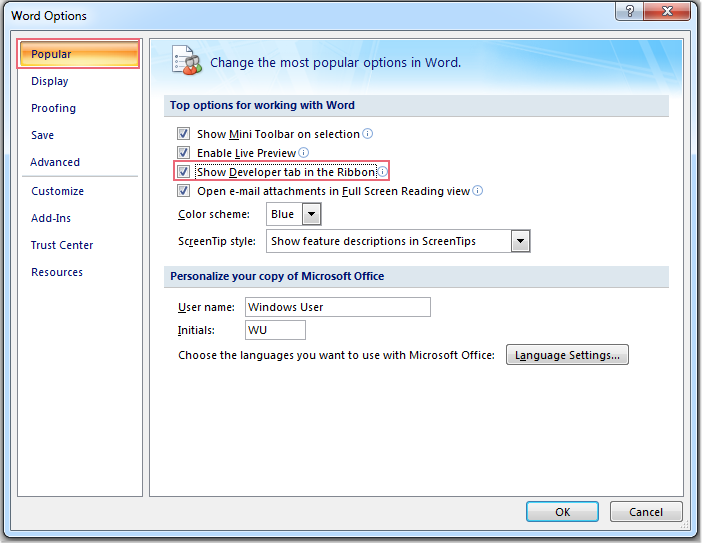 In Word 2007, please click Office button > Word Options to go to the Word Options dialog box. With Kutools for Word, users can easily insert frames into document without adding Frame function to Word manually. Kutools for Word : with more than 100 handy Word add-ins, free to try with no limitation in 60 days. Click to download Kutools for Word and free trial now! Kutools for Word: with more than 100 handy Word add-ins, free to try with no limitation in 60 days. Download and free trial now!